Restaurants like McDonald’s want customers to use their mobile app so they can glean more information about their customers, but also because it’s amazing advertising. Every time you open your phone, one of your most personal belongings, you see their logo. 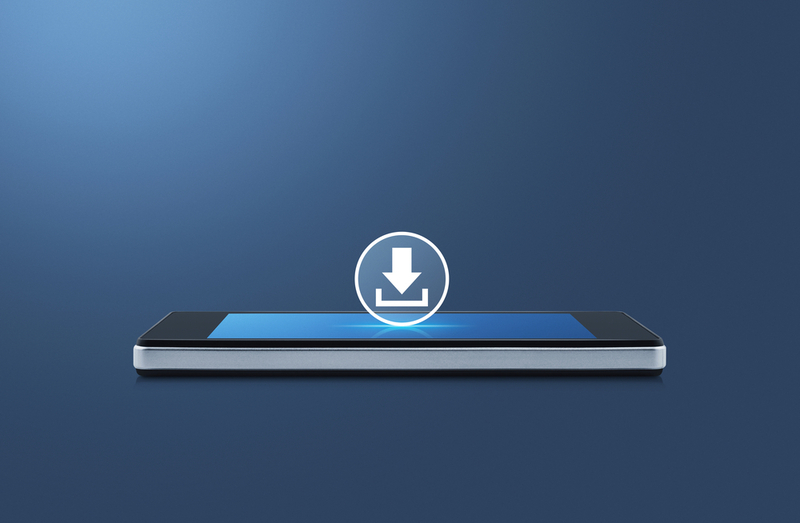 Mobile apps are increasingly playing a main role in fast food and fast casual businesses. 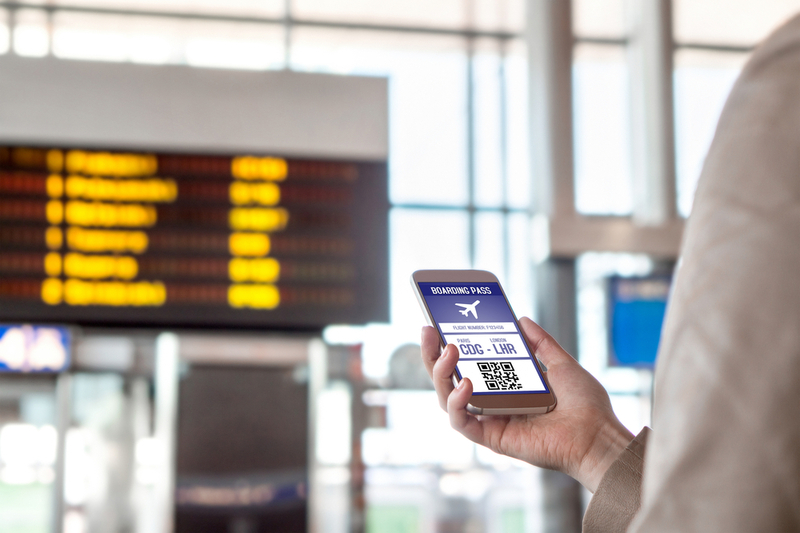 Rewards have proven to be an important piece to the user acquisition puzzle. 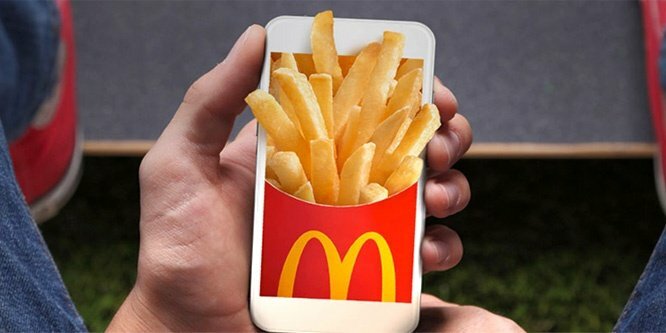 On July 12th of this year, McDonald’s announced we could all get a free order of medium french fries by downloading their mobile app and purchasing something for $1 or more. The competition then watched as the McDonald’s app rose 56 rank spots to eventually become the #2 overall app in the U.S. App Store on July 20th. On the 29th of August, Dairy Queen launched a similar initiative, giving away a free small Blizzard after joining the rewards program through its mobile app. Two days later, Chick-fila-a got in on the action, offering a free order of nuggets to anyone who created a Chick-fil-A One account or signed into the chain's mobile app. 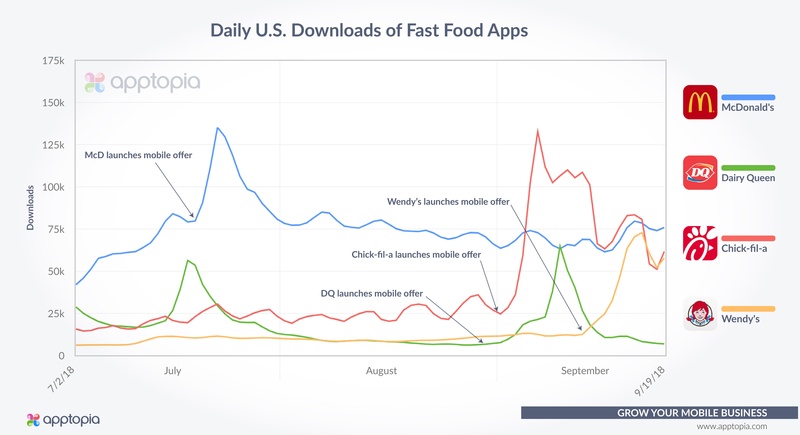 Just 10 days after that, Wendy’s served up free burgers to those willing to download their mobile app. As you can see, each app had a significant increase in new installs from their respective promotions. 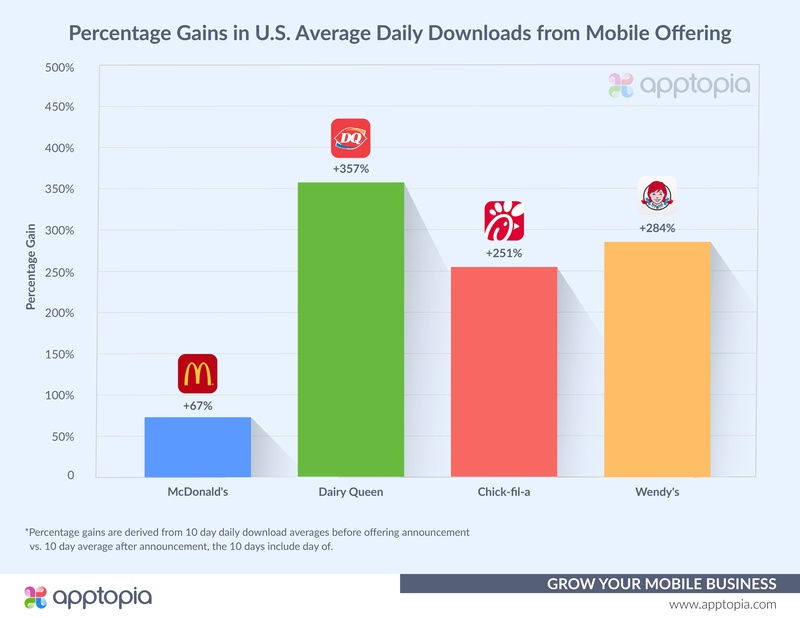 While McDonald’s had the smallest bump, it has the most average daily downloads in general. The big question is, will these new users continue interacting with the app or did they just want the free food? It’s too soon after the promotions to get a true feeling for this but since McDonald’s started back in July, we might be able to glean some insight there. Keep in mind the promotions from McDonald’s and Dairy Queen are ongoing, whereas the promotions from Chick-fil-a and Wendy’s ended on 9/29/18 and 9/30/18 respectively. Looking at the McDonald’s app, it has been slowly but surely increasing daily active users in the United States, reaching new all time highs almost daily. Active usage data for Apptopia dates back to January 1st, 2015 and the McDonald’s mobile app has never had more daily active users in the United States than it does now. While the promotion is ongoing, the company has yet to regress to its performance before the promotion started. We’re going to take turn here and talk pizza, just to show that offering some version of free food definitely works for acquiring mobile customers. Papa John’s is no longer the official pizza partner of the NFL, as that has fallen into the hands of Pizza Hut. 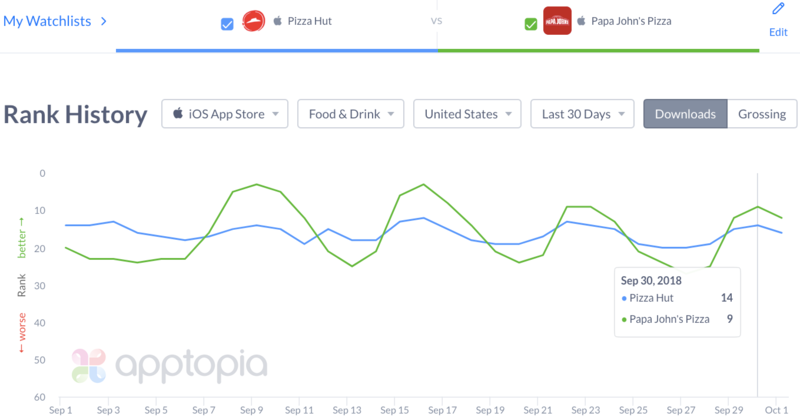 Below is an image showing Papa John’s U.S. App Store rank rising above that of Pizza Hut’s every [football] Sunday. Looking at another image below, we see the company is running burst campaigns on mobile, every weekend of the NFL season so far. What are they advertising? Free Pizza, of course. View the video ad here. 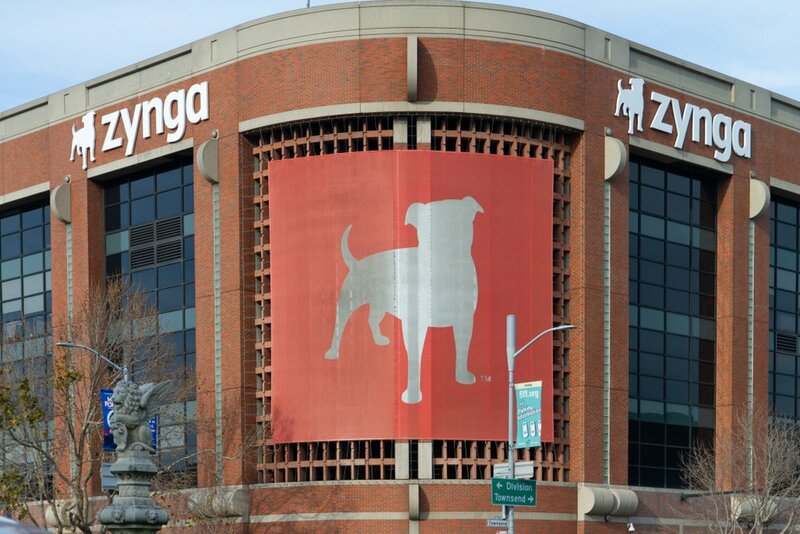 That's all for now but we're interested in seeing how these promotions drive long term retention and engagement. And on a personal note, I could use some fries.